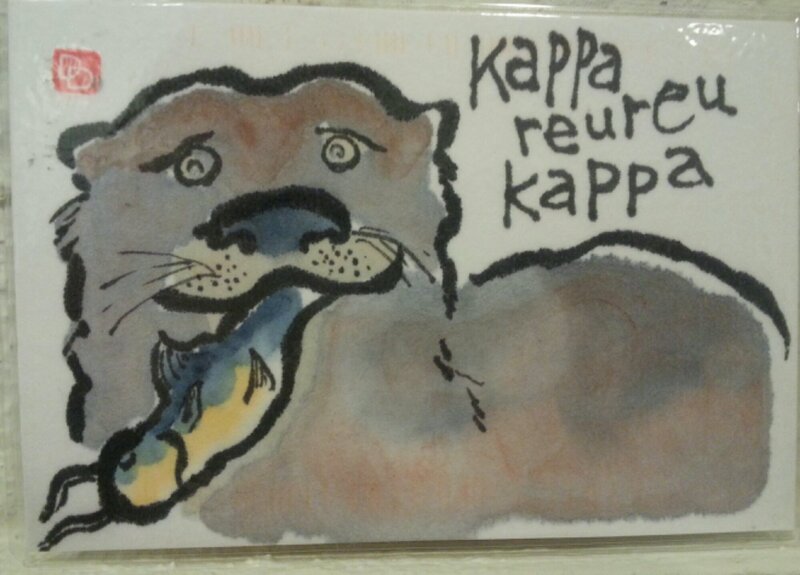 My mailbox has been overflowing this December, and I’ve gotten quite behind in posting what I’ve received. 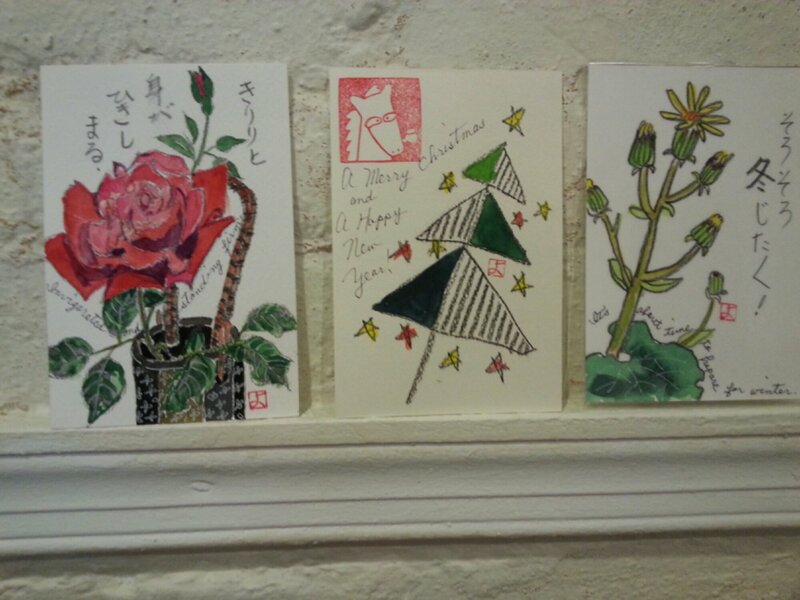 Here is a longish post recording the etegami, and other arts, I have received from many folks across the world. 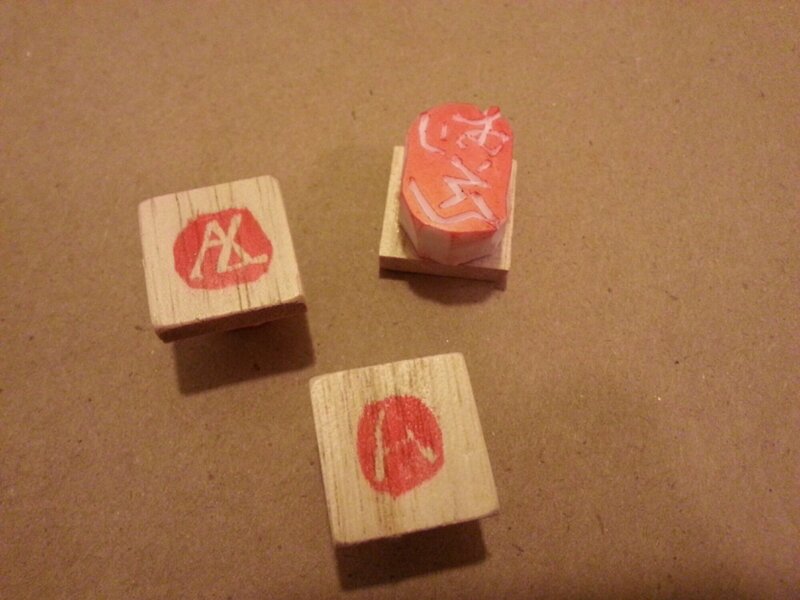 Above: hand-carved hanko (stamps) from Shungo in Yokohama. I especially love the one that superimposes the A and the L — I’ve bee using that a lot lately. 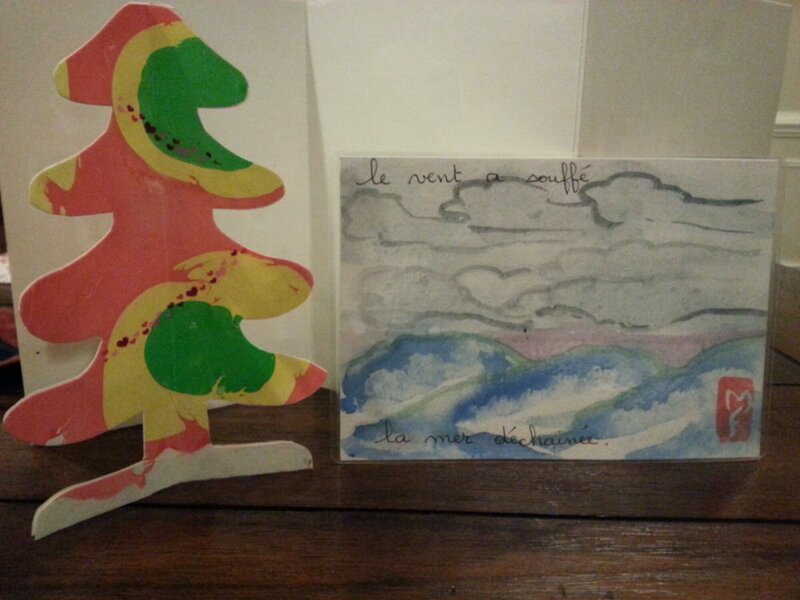 Above are a a couple of items from Marie in France — the 3D Christmas tree I’ve had decorating my dinner table all month. 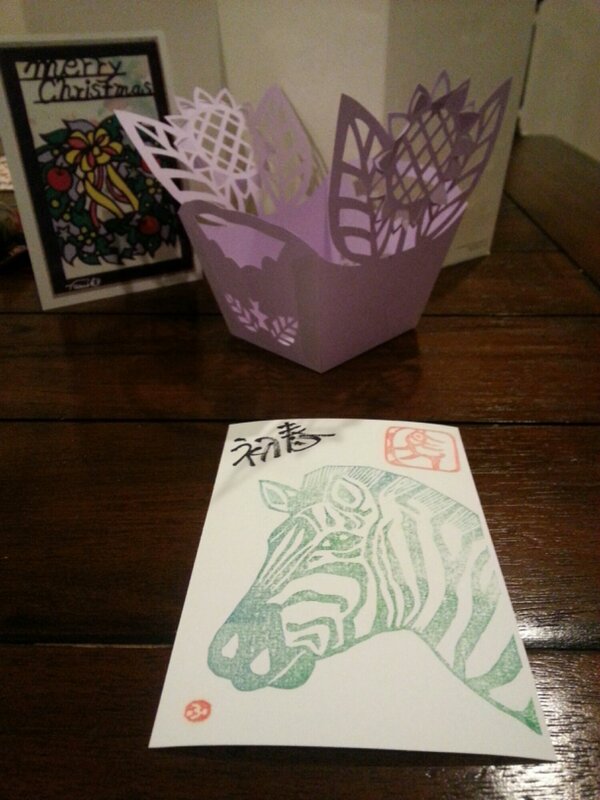 And the next two photos show what Fumiko from Japan sent me — a cut out candle holder made of paper, a Christmas card, and, in the foreground, her New Year’s card for 2014, with a zebra on it to represent the year of the horse. 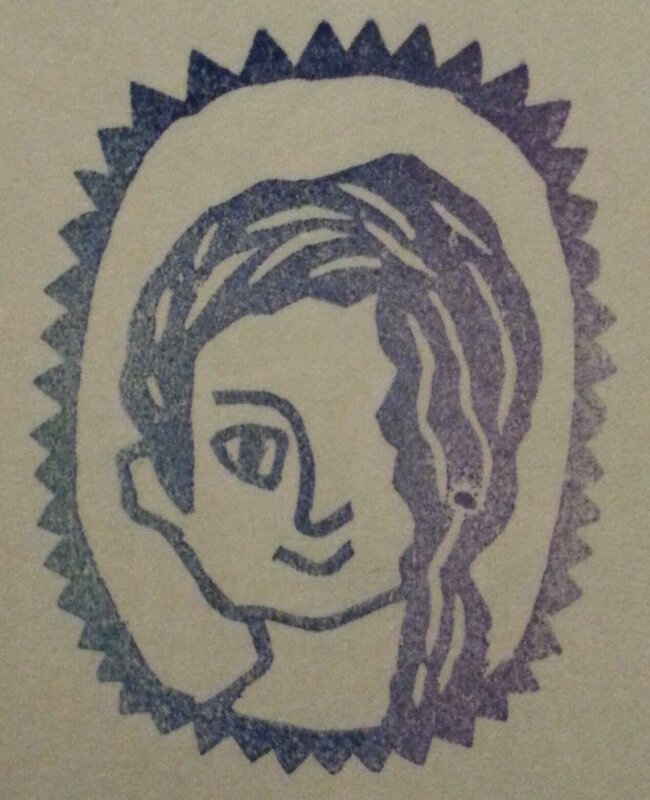 The following picture is from the backside of her card — it’s her hanko or stamp. 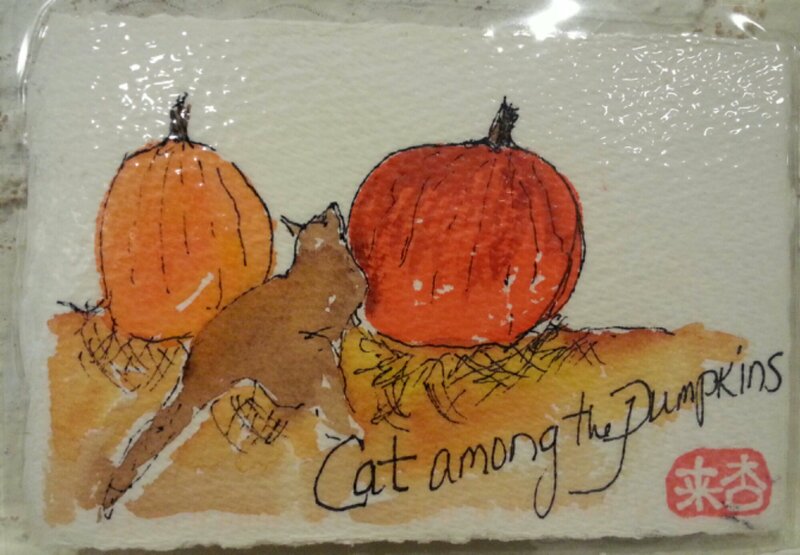 A lovely laminated card from Patricia in California, with cats among the pumpkins. A trio from Yoshiko! 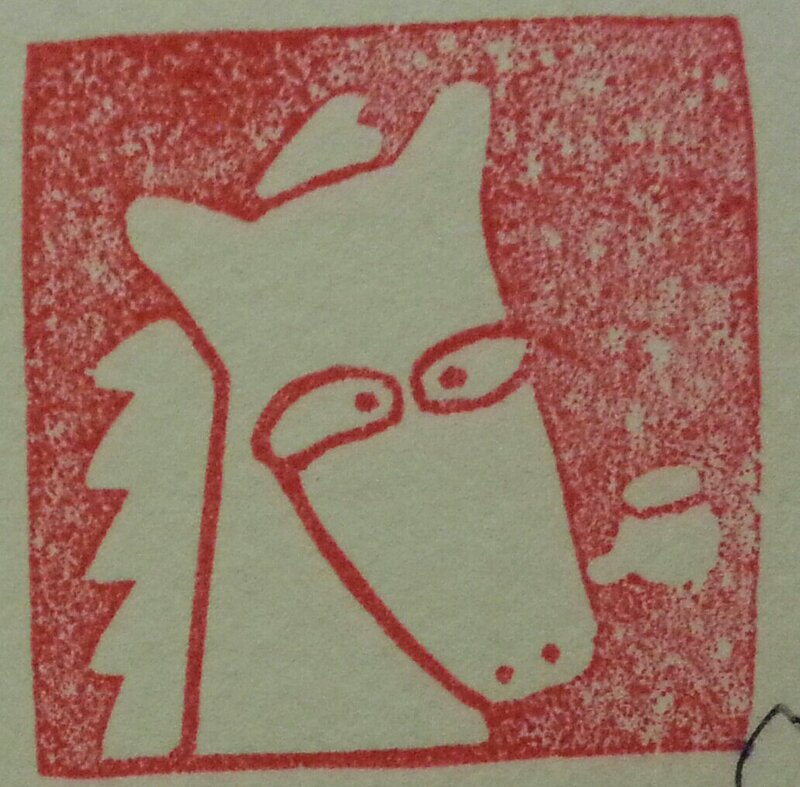 I particularly love the stamp on the middle card — it appears to be a horse smoking a pipe? See the detail below. 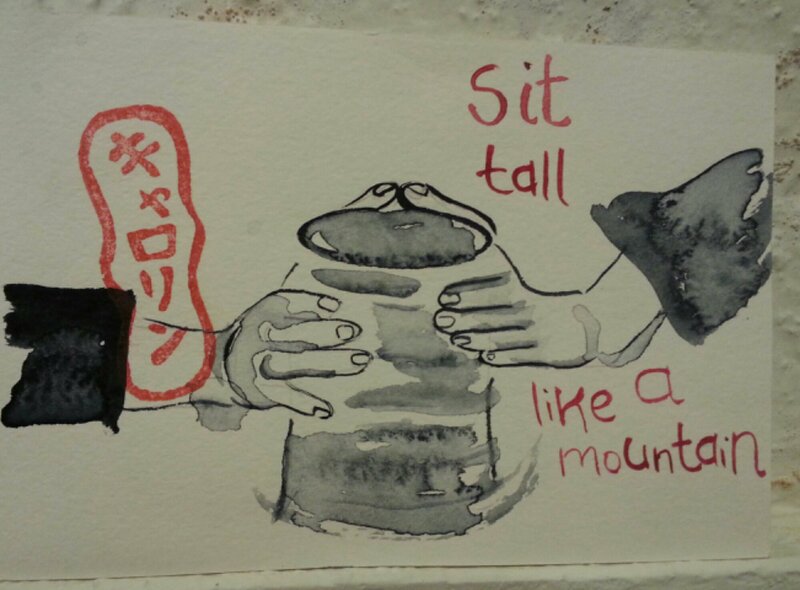 Below is a card from Carolyn in Australia — a good reminder to sit tall. Super cute face on this otter, from Debbie in Hokkaido, Japan. 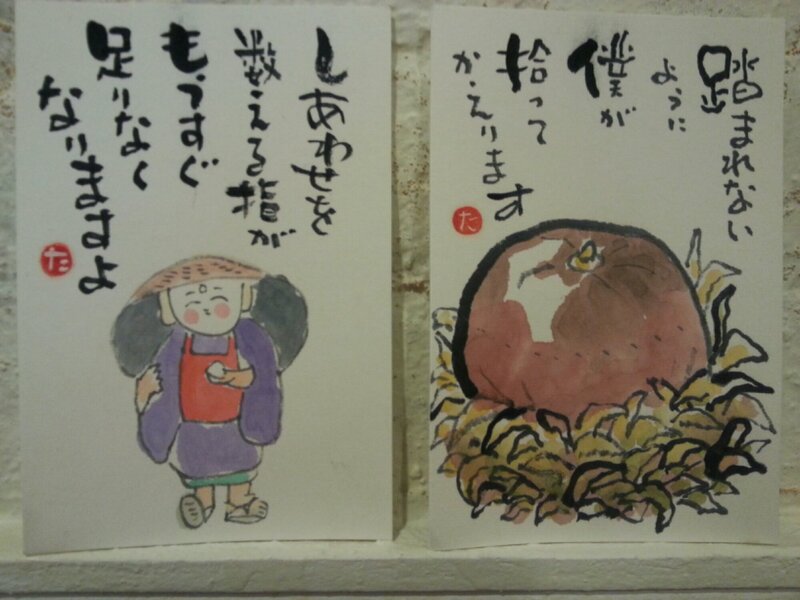 She writes that this is her illustration of an Ainu folktale. 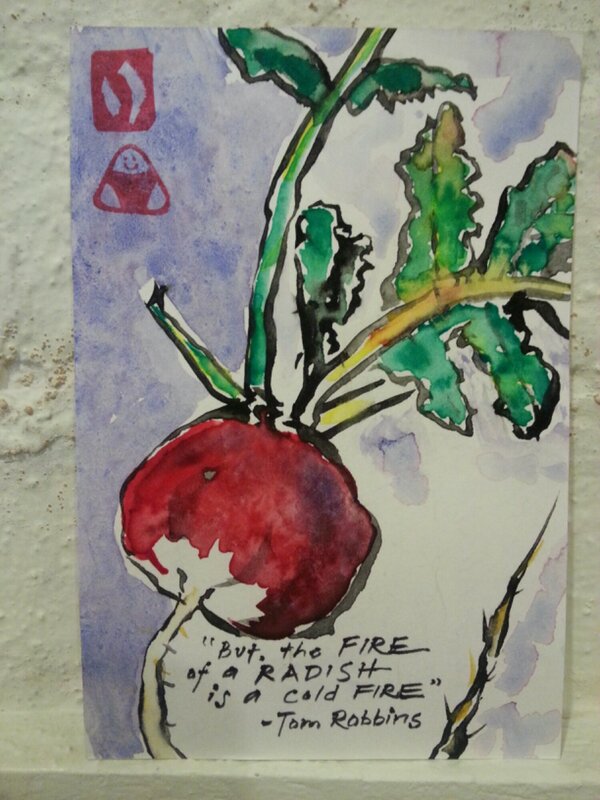 A radish from Lisa in California! ← I want to ride my bicycle!